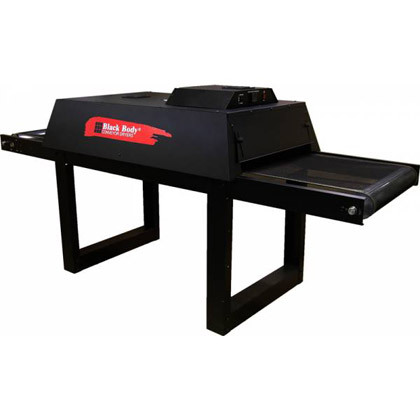 The Forced Air Big Buddy from BBC Industries is a all-in-one compact dryer that cures plastisol, water-based, discharge, and digital inks. The Forced Air Big Buddy is 10,500 watts and has a closed loop solid-state digital temperature controller. This conveyor dryer is a hassle free 24" tracking belt. Length 8 ft. 10 ft.
Heater Dimensions (2) 18" x 24" (2) 18" x 36"